President Donald Trump’s plan to sign an executive order requiring the U.S. Education Department to study and scale back the federal footprint in K-12 education came as no surprise to accountability hawks critical of the administration’s retreat and was encouraging news to conservatives, who say it can’t happen fast enough. 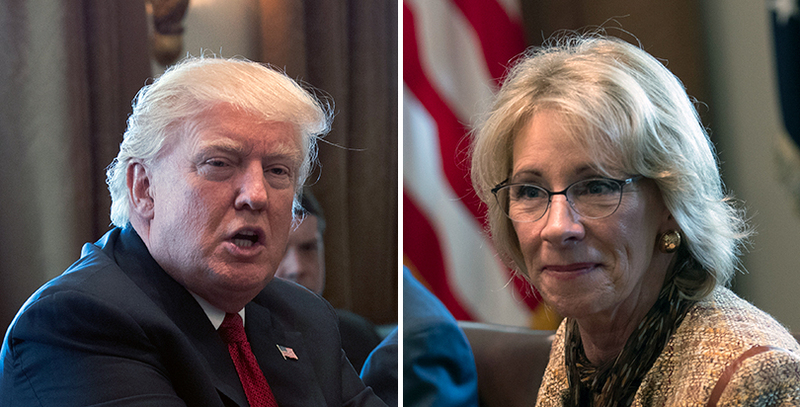 Charles Barone, director of policy for Democrats for Education Reform, said no one needed an executive order to signal that Trump and Education Secretary Betsy DeVos would be backing away from “all kinds of things when it comes to the federal role in education.” He said that barely a week ago they announced they were moving away from federal oversight of the student loan industry. He charged the administraton with putting the interests of lenders above those of students and their families. DeVos and department employees will have 300 days to study regulations and guidance issued by the Obama administration to “confirm if they’re consistent or inconsistent with federal law,” Rob Goad, a senior White House adviser on education, told reporters Wednesday morning. The order directs DeVos to modify or repeal any regulations and guidance where “D.C. has overstepped its legal authority,” Goad said. 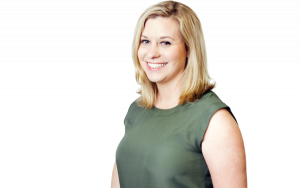 Lindsey Burke, director of education policy studies for the Heritage Foundation, said the move was necessary and overdue. “It is long past time to review the regulations and red tape that are handed down from Washington that burden the day-to-day operations of local schools and the teachers who teach in them,” she said via email. The review will focus specifically on the Department of Education Organization Act, the General Education Provisions Act, and the Every Student Succeeds Act. Republicans in Congress throughout the Obama administration complained about what they saw as inappropriate executive overreach into state and local education decisions. In particular, they criticized waivers granted from the strict accountability standards in No Child Left Behind and the Race to the Top grants, which required or incentivized states to adopt the Common Core State Standards, implement tough school turnaround plans, or tie teacher evaluations to student test scores, among other education reform proposals. A heavy federal role was supposed to be largely wiped out by ESSA, which contains an entire section of prohibitions — including barring the Education Department from mandating any state’s curriculum. It specifically says the department can’t dictate decisions on the Common Core, one of Trump’s top education targets on the campaign trail. Outside of the general K-12 education programs covered by ESSA, the department is also responsible for implementation of a host of education initiatives, including those serving students with disabilities, and enforcement of student privacy and civil rights protections in schools. The Trump administration already repealed one major K-12 education guidance, the “Dear Colleague” letter from the Education and Justice departments requiring schools to allow transgender students to use locker rooms and bathrooms matching their gender identities. The department will share its findings with the White House and produce a report at the end of its 300 days — in late February 2018.